Are you looking for a free accounting tool? There are lots of options out there. I have put together a list of the best free accounting software. Looking for an accounting company? See our online accounting services at WizzAccounting. TurboCASH 5 is a popular tool ideal for general ledger, cash book, stock, debtors, creditors, invoicing that runs on batch driven double entry accounting standards. Free accounting software with tons of features. It allows you to connect to your bank accounts, sync your expenses, balance your books and be ready for tax time. Wave is double-entry accounting software. Quickfiles is a free accounting and bookkeeping software for UK businesses. It runs in the cloud and it is very easy to use. It is free for small to medium sized accounts. Free invoice software, inventory software and billing software for Windows. It allows you to create and email professional invoices in minutes while tracking your customers. Money Manager Ex is a free, open-source, cross-platform, easy-to-use personal finance software. It is a simple money management software, released free and available for Windows, Linux, MacOS, Android e iOS. ZipBooks is free accounting software that sends invoices, tracks time and expenses, integrates with your bank & lets you process credit cards. 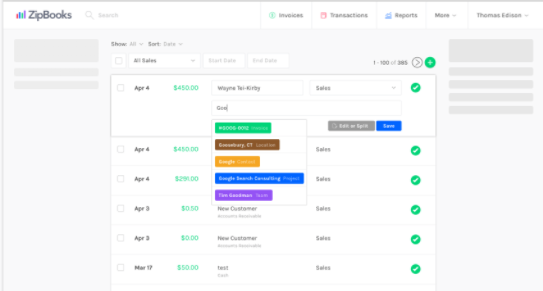 Manager is free accounting software for small business. Available for Windows, Mac and Linux. Some of its main features are general ledger, cash management, profit and loss statements, billing and invoicing and payroll management. A great personal and small-business financial-accounting tool, licensed under GNU/GPL. It is available for Linux, Windows, Mac OS X, BSD, and Solaris. Did you find this list of free accounting tools useful? Have you tried any other free accounting software?